Puros Santa Clara was founded by Mr. Jorge Ortiz in 1968, since then several brands have been produced, those are positioned & distributed among USA, Europe, Asia markets. To commemorate the 50th Anniversary, have been selected carefully various tobaccos, whose origin is of excellent harvests. These crops, which are not all the same in: uniformity, quality, have been taken the best products to be aged slow and carefully, then finally to obtain the first of four great blends that will be produced. “Triple Maduro”, anniversary blend, limited edition, with a delectable filler blend consisting Medio tiempo Criollo San Andres, ligero Criollo San Andres, Viso Havano from Nicaragua and morrón obscuro Criollo San Andres binder. The bunch is rolled with the best Maduro wrapper in the world, Criollo San Andres. One of four celebrating blends. 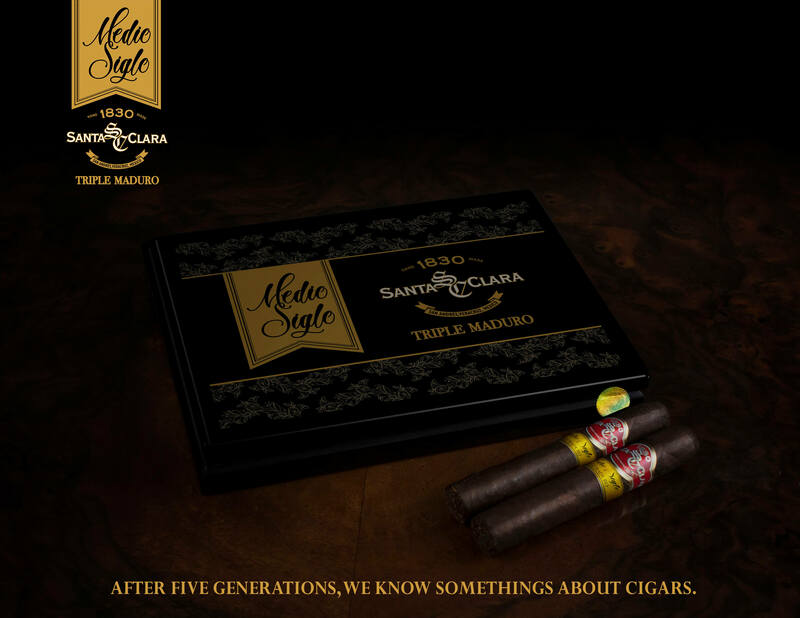 “Triple Maduro”, anniversary blend, limited edition, with a delectable filler blend consisting Medio tiempo Criollo San Andres, ligero Criollo San Andres, Viso Havano from Nicaragua and morron obscuro Criollo San Adres binder. The bunch is rolled with the best Maduro wrapper in the world, Criollo San Andres. A celebration blend! FILLER: MEDIO TIEMPO CRIOLLO SAN ANDRES, LIGERO CRIOLLO SAN ANDRES AND VISO HAVANO NICARAGUA. BINDER: MORRON OSCURO CRIOLLO SAN ANDRES.